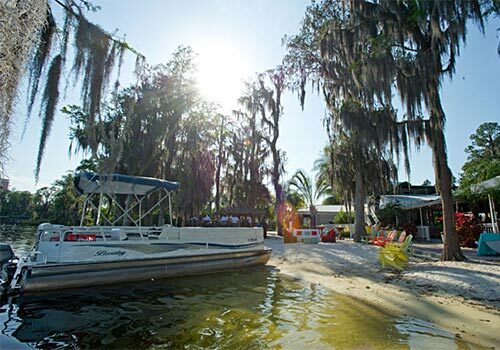 An exciting experience for guests of all ages to enjoy together, Buena Vista Watersports Pontoon Rentals offers a great way to spend the day out on the water under the warm Florida sun. The first hour starts at $125, with each additional hour at a rate of $75. Half-day pricing (for four hours) starts at $300. Guests are also welcome to bring food, drinks and fishing poles while visiting. Must be 18 years old to drive, any age to be a passenger. Bring drinks, snacks, and fishing poles for a memorable day on the water. Free boat driving lessons available upon request. Can seat 8-12 passengers onboard. Enjoy a picturesque setting on Lake Bryan. 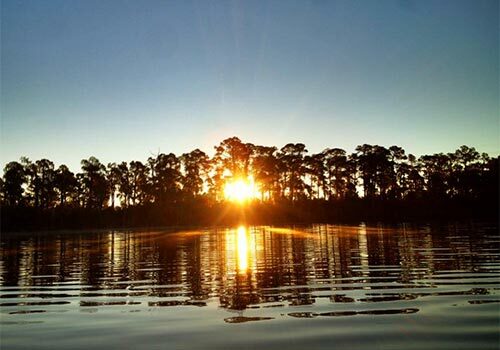 Enjoy a leisurely Pontoon rental on beautiful, spring fed, Lake Bryan! 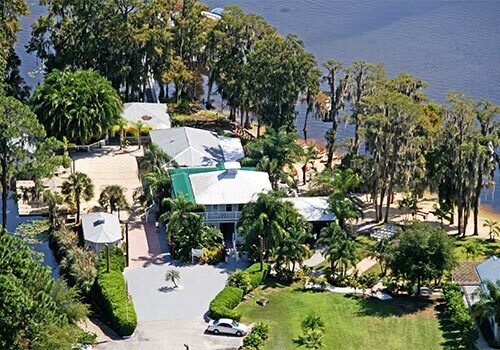 Leave from our private beach and cruise around our 450-acre private lake. This price includes gas, life jackets and can seat 8-12 passengers. Feel free to bring a cooler full of food and drinks or fishing poles. If you have never driven a boat before, we would be happy to give you a free lesson! Must be 18 years old to drive, any age to be a passenger. Complimentary beach access & beach volleyball with every rental! One-Hour Rental available. Each additional hour is $75/hour. How many people can ride on the pontoon? The boat will hold up to 12 passengers. Do you need a driver's license to operate the boat? Yes, you will need to present a photo ID and be at least 18 years or older to drive. 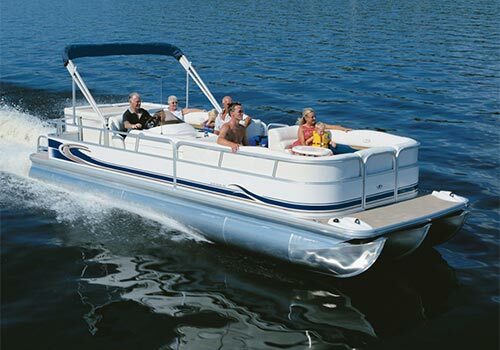 Is there a deposit taken at time of pontoon rental? Yes. The guest must either have a debit or credit card which is imprinted for damages or a $300.00 cash, refundable deposit due upon arrival.